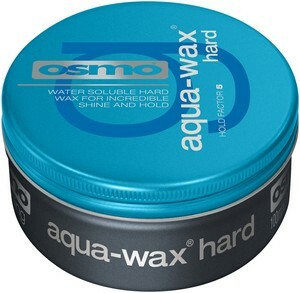 A hard wax for incredible shine and strong hold. Strong water soluble styling wax. Creates ultimate definition and tames flyaway hair. Conditions and replenishes hair. Delivers incredible shine. Firm hold. ACHIEVE THE LOOK For a high shine and strong hold style. Massage the desired amount thoroughly through wet or dry hair. Work to style. SUITABLE FOR Short to Medium length hair.